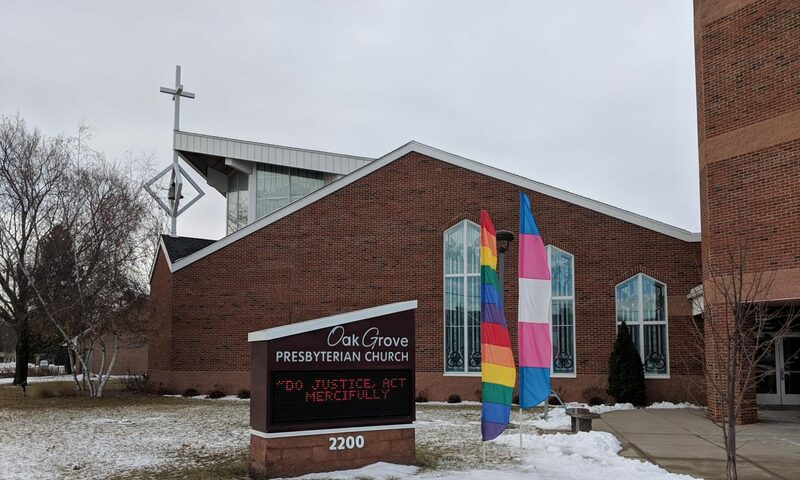 Oak Grove is a joyful, inclusive, compassionate community (of faith) seeking to do justice, act mercifully and walk humbly with God. We generally celebrate with communion on the first Sunday of each month. At 10:45 worship following the Time with the Children on non-communion Sundays, children 3 years – K are dismissed to Children’s Church with singing. Please pick up children immediately after the service in the Children’s Church room on the lower level. Good Friday, April 19, 8:00 pm Tenebrae Service. This service takes place after dark and provides a dramatic end to worship before Easter Sunday. The darkness is lit by candles which are extinguished during worship. 6:15 am, Sunrise service at Bloomington Cemetery (104th & Lyndale Avenue). All are welcome to join us for quiet worship with the sharing of communion. Save the Date for VBS! June 10 – 13 from 9 am to Noon. God Sightings! God’s love is everywhere — in acts of service, in others, in unexpected places and in ourselves. Come, explore and experience God’s love during VBS! Click here for registration forms and information. Or see below for our most-recently recorded service (OneLicense.net Streaming License # A-712207). See also our Archived Videos web page. On April 24 (our last WoW! for this program year), join us for a conversation with Pastor Bill. Curb Climate Change — see what Oak Grove has done and what YOU can do! Oak Grove Presbyterian Church is featured in this Bloomington video on businesses conserving energy.